One of the most beloved veggies since ancient times. The meaty green spears are both succulent and tender and great at soaking up whatever flavors you throw at them. While typically considered a spring vegetable world-wide, we Californians are lucky to have them throughout the winter months too! Studies have shown these little guys are romantic mood boosters too! To prepare: Cut off the harder meaty end of the stalk and steam, roast or broil. 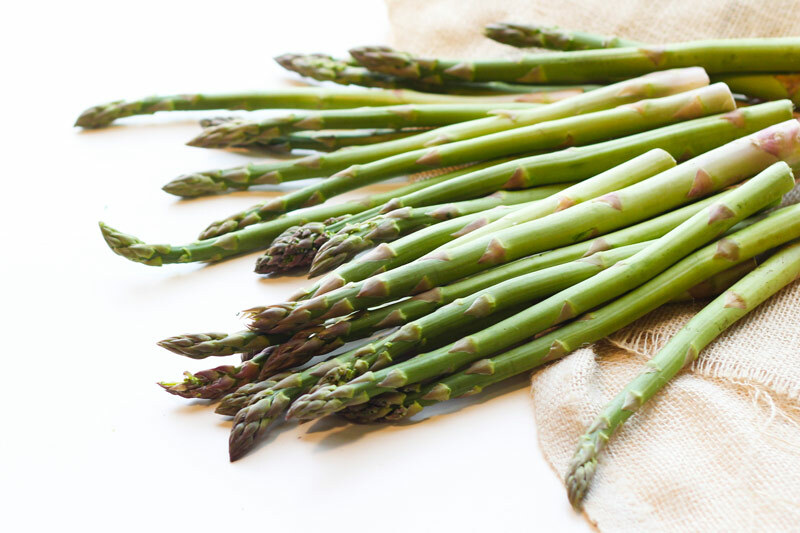 Pair with butter, white wine vinegar, salt and lemon to bring out the fresh spring flavor of the asparagus. To store: Asparagus is a one-night-only type of vegetable—it doesn’t store well, and it usually doesn’t make for great leftovers. For the freshest flavor, try to buy and eat asparagus the same day. rim a small amount from the bottoms of the stalks with a sharp knife and place them in a tall glass with a little water in the bottom. Cover the top loosely with a plastic bag, and store in the refrigerator. Change the water daily. This will help keep the stalks firm and crisp until you are ready to cook them. Packed with fiber, vitamin C and fully-loaded with anti-oxidants; these chokes are no joke! Originally from Italy they were brought to the United States by Spanish settlers in the 1600s. We in California are lucky to have that same Mediterranean climate that is perfect for artichokes! If you didn’t grow up with them, we know they can look intimidating, but they’re actually pretty simple. To prepare: Leave artichoke to rinse in a cool water bath for about 5 minutes. Then tap out the excess water, pointy-side down to encourage any little farm critters that may be hiding in the leaves, because they, these are farm-fresh! Then cut off the top 1/4 with a knife and as much of the stem as you like. Now, cut off the top quarter of the artichoke with a knife. Then, cut off as much of the stem as you want. Some people like to leave it on because it tastes good! Finally, using kitchen shears, snip off the pointy ends of each leaf; but be careful you don’t want to get pricked! Now, hit the steam. A simple salt infused steam is all they need to cook. Once ready, be sure to remove the choke (it’s named correctly, this part of the veggie is nasty) before serving. The choke the hairy center between the tough leaves and right above the fleshy ‘heart’. 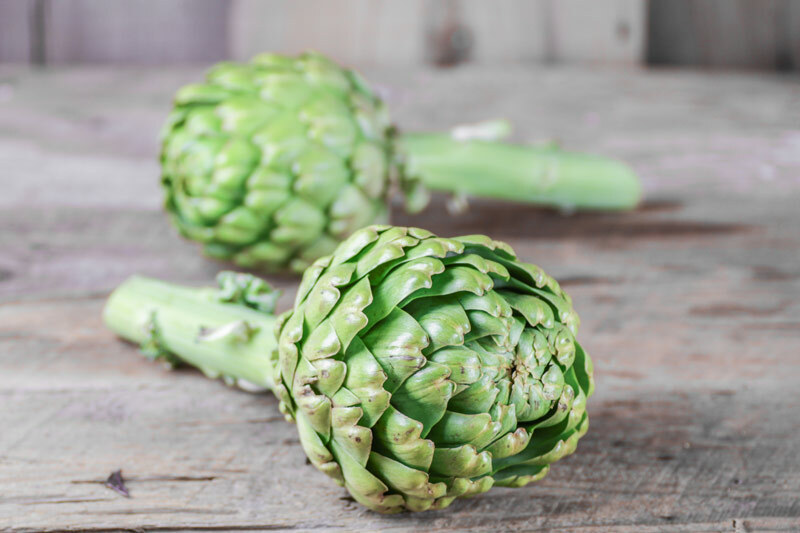 To store: Slice a dime width (millimeter) off of the Artichoke stem, sprinkle the stems with water and refrigerate them in an airtight plastic bag or container. Stored like this, artichokes should last 4-5 days in your fridge! Did you know that baby artichokes are completely edible? They are fully mature, but since they grow low to the ground in low light, the fuzzy, “choke” part never develops in the center, making them easy to prep and enjoy! The only sad part is they are so rare and hardly ever available, so we really get excited whenever we see them! 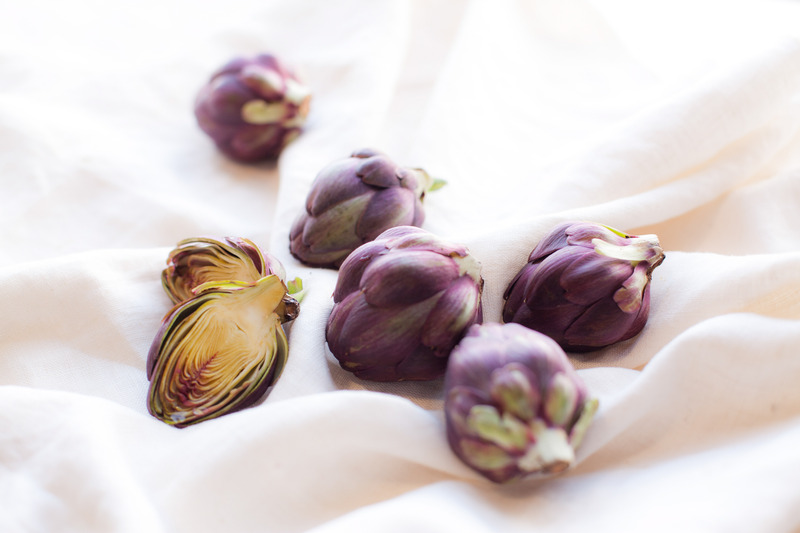 To prepare: Unlike their larger friends, baby artichokes aren’t as high-maintenance, simply steam, boil, roast or fry! 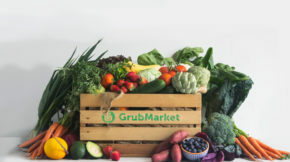 To store: Store the same as you would larger artichokes, in a plastic bag in the crisper drawer for 4-5 days. They don’t arrive until later in spring, but when they do, we all celebrate! Apriums and apricots are the first sign that summer’s stone fruit season is just around the corner! 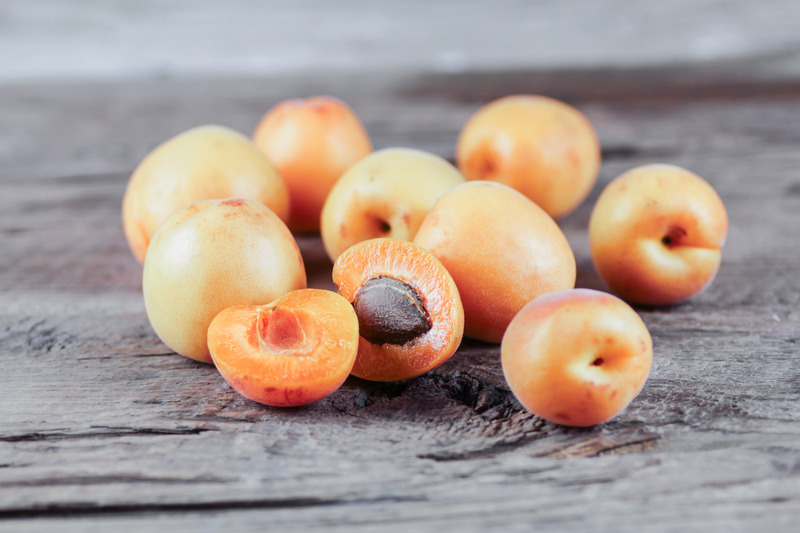 Apricots you may know, but Apriums are a relatively new fruit. that’s because apriums are all-natural hybrids—¾ apricot and ¼ plum. ‘Honey Rich’ is perhaps the most popular aprium variety; its name aptly suggests the fruit’s intensely sweet flavor. Other aprium favorites are ‘Flavor Delight’ and ‘Tasty Rich’. Apriums usually have the texture somwhere between apricot and plum. To use: Although these do make great jams and jellies, there’s just nothing better than the real thing. Enjoy fresh within a few days. To store: If you must store them, leave them on the countertop but out of direct sunlight. If it is a warm day (over 75 degrees) place them in the fridge. 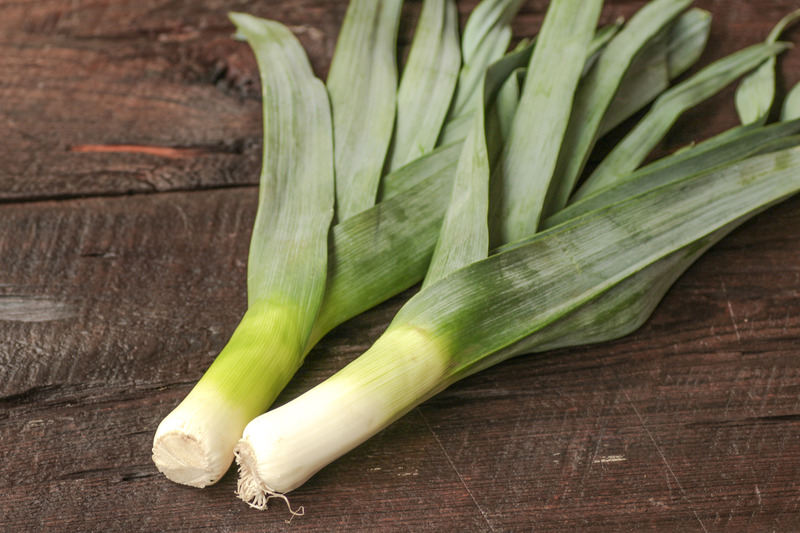 Leeks come from the onion family, yet they sport a much milder flavor. Often paired with fish or used as a base for soup, they can be prepared using many of the same techniques. To prepare: Cut off the hard bulbous end and remove the thick green leaves. Then, simply slice thinly and saute! For enhanced health benefits, let them sit for 5 minutes after cutting and before cooking and get even more iron and vitamin C.
To store: Fresh leeks should be stored unwashed and untrimmed in the refrigerator, where they will keep fresh for 1 to 2 weeks. 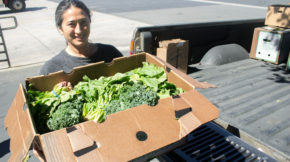 Keeping them in perforated or loosely wrapped plastic will help them to retain moisture. This snow pea/garden pea hybrid is the perfect veggie-powered, high-iron snack. These pods are stringless, which means you can eat them raw and whole to enjoy their snackable crunch! 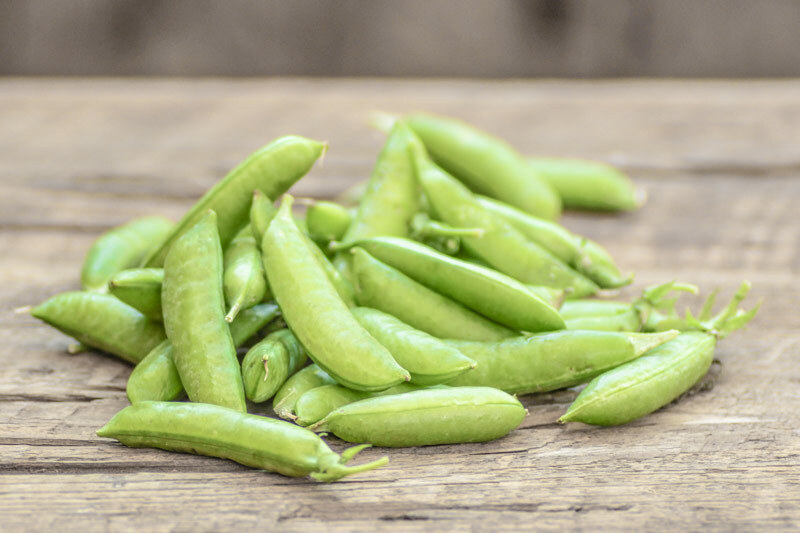 Since you’re getting them direct from the farm, our sugar snap peas retain all their natural sweetness. A simple saute in sesame oil creates a crispy and quick nutritious side. To prepare: Use right away! These peas are fairly perishable and will decrease in flavor if stored for more than a few days. To store: Keep them in a plastic bag in the refrigerator. Use snow peas within a couple of days of purchase, sugar-snap peas should last for up to 5 days after purchase, both will be better if eaten sooner. 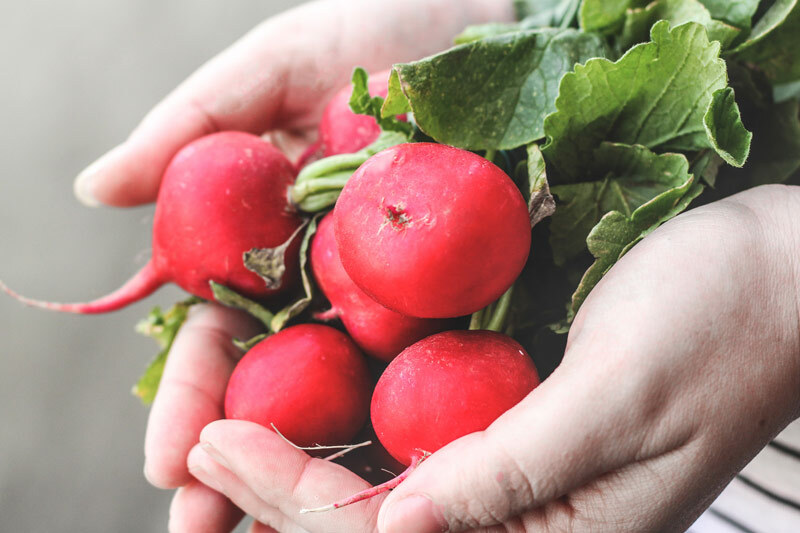 Radishes could be one of nature’s best kept beauty secrets! Their high vitamin C content naturally flushes out toxins and free radicals! Plus, their high moisture content keeps you hydrated from the inside out giving you radiant looking skin. To prepare: Radishes can be eaten raw with a pinch of salt and pepper or dipped into your sauce of choice! If you don’t fancy their distinct raw flavor, grill them up with some butter or olive oil and your favorite herbs and seasonings. To store: Store in the fridge unwashed with the green tops removed. Put the bag in a cool, moist, dark place, like the crisper drawer of the fridge where they can last for 1-2 weeks. Spring is really here! Green garlic is a young, slightly milder garlic. 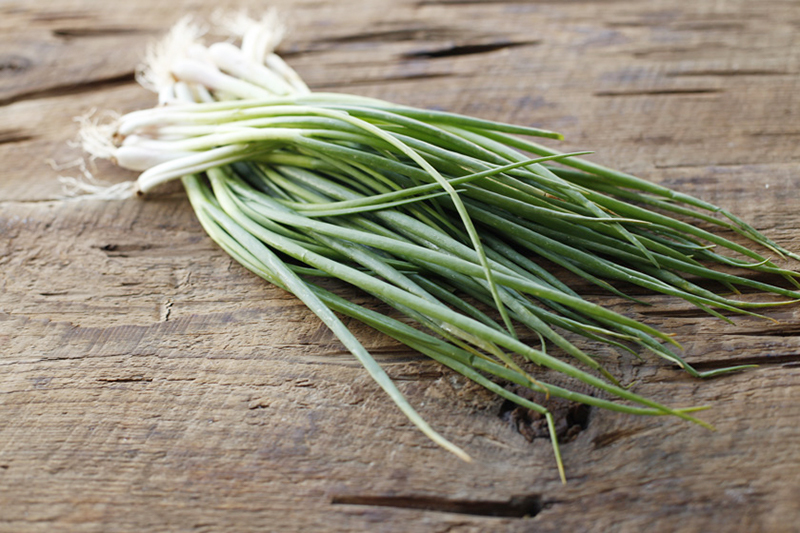 Before garlic grows into separate cloves, it starts out as a green plant, with a stalk, leaves, and shoots—it actually looks a lot like scallions. 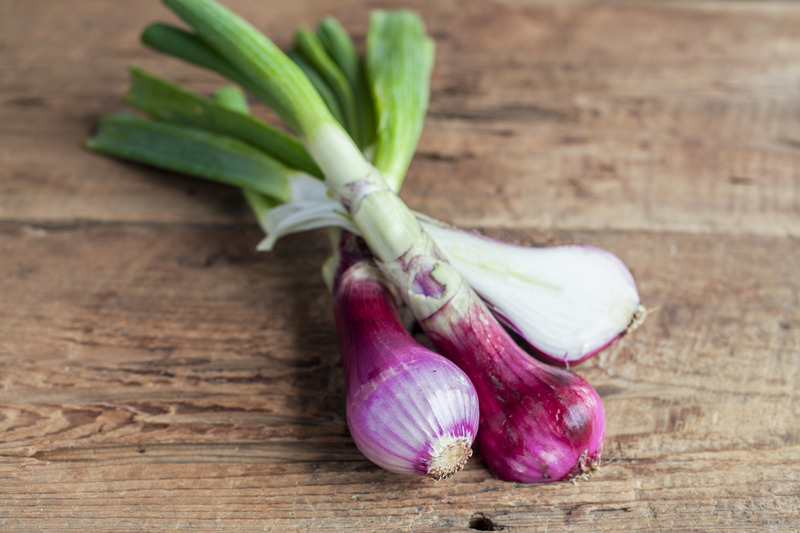 And fittingly, these immature garlic bulbs and edible green stalks have an onion-like flavor that tastes great whether raw or cooked. To prepare: Remove the furry white ends and the very tips of the stalks. Simply rinse and chop and add raw on top of salads, soups, or meat. To store: Store like you would fresh flowers. Place the white ends into a jar with a little water and cover with a plastic bag and put in the fridge on one of the middle drawers. 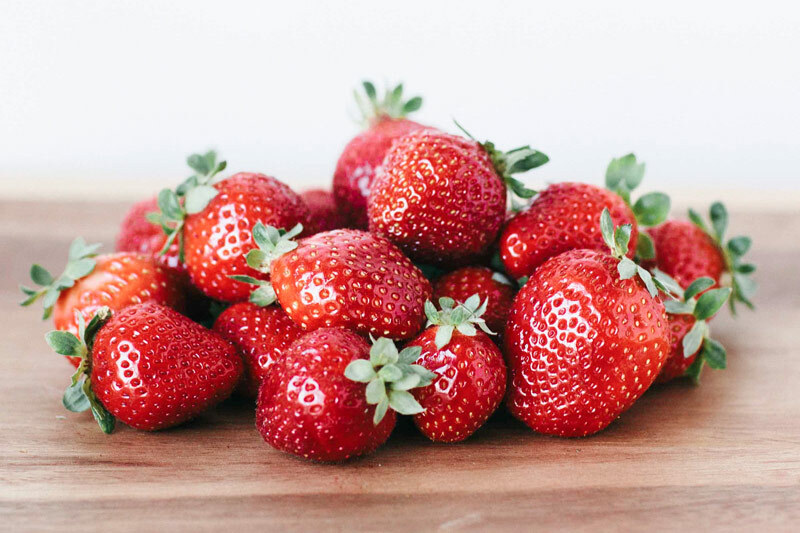 Strawberries are everyone’s favorite heart shaped berry. Loaded with vitamin C, potassium, antioxidants, folate, and fiber, it’s great to know they are as nutritious as they delicious. Naturally perfect fresh, but they’re tasty from within pies, smoothies, juices, jams or even ice creams! To prepare: Don’t rinse until ready to use. Remove green tops and add sliced to yogurt, cereal or desserts. Once they start to become overly ripe, quarter them and toss them in the fridge so you can use them for weeks to come! To store: Berries are delicate delicious treats that should be enjoyed as soon as possible! Don’t wait. The better the berry, the sooner they will spoil. That’s just nature at work! But if you absolutely need to save them for more than 2 days, take them out of their container and spread them out on a paper towel across a baking sheet and cover with plastic wrap and place in the fridge. Make sure not to rinse or remove stems until ready to enjoy.